Thunder River Alpacas is an alpaca farm located in Dillsburg, Pennsylvania owned by Dennis and Rosalie Watts. We recently moved to 1481 South Mountain Road, Dillsburg, PA. Welcome to Thunder River Alpacas in Dillsburg, Pennsylvania, just south of Harrisburg in the Cumberland Valley. We raise premier suri alpacas. 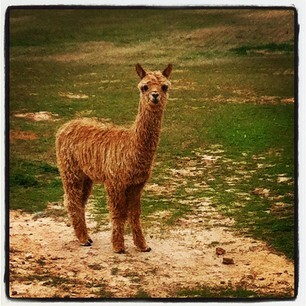 At Thunder River Alpacas , you'll find the highest quality animals. We have some of the industry's most desirable bloodlines. When we started, we only purchased premium bloodlines so that we could produce and raise the best quality animals. 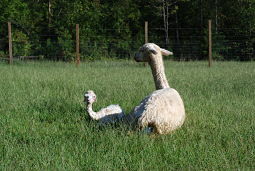 Many of our suri alpacas are champions and are producing champion offspring. We are involved in every aspect of the alpaca industry including breeding, stud service, boarding, sales, financing, meat, fiber and clothing and accessories. Visit our farm store for a wide selection of alpaca clothing and accessories. Our goal is to help you understand the alpaca business. If you plan to start an alpaca herd, we will support you every step along the way in your new adventure and lifestyle while sharing our experience, knowledge and resources. When you purchase animals from us, we will help you with farm layout, pasture management, herd health knowledge, training, showing, birthing, medications, what products you need to get started, parasite control, harvesting the fleece, etc. As ambassadors for the alpaca industry, we are members of the Alpaca Owners Association, the Suri Network, the Alpaca Registry, the Pennsylvania Alpaca Owners and Breeders Association and the Mid-Atlantic Alpaca Association. Alpaca farming is a lifestyle choice with benefits and opportunities for the whole family. They can add a dimension to family life that many find are missing these days. Farming is fun, relaxing and a potential source of income. Stop by for a visit. Our alpacas are waiting to see you! We offer interest-free financing for up to one year on qualified purchases.